We stayed in the Queen’s Suite, which is the biggest room in the entire hotel. It was spacious and had a lovely four-poster bed – something I found very exciting. Queen Elizabeth I is said to have stayed in our very room, which gave it a wonderful historical link, but unfortunately no one was able to give us any specific information about when and where! The suite had two rooms: the main one where mum and dad slept, and a smaller one with a fold-out sofa bed. This was more than comfortable, and probably could have accommodated me and my brother at a push (although I doubt either of us would have been very happy)! The hotel does have rooms for families and is able to construct beds for children in most rooms, although it seems to be suited more for families with one child rather than two. The room was huge and also had a very nice bathroom with a good shower and stand alone bath. We were all fascinated by the history it contained, and I particularly loved the wig powder closet in the corner which was equipped with three wig stands and a mirror! In fact, there was history dotted all around the hotel, including 17th century stained glass windows, an eagle statue from the Second World War, old clocks and furniture, a suit of armour and even a proclamation of the beginning of the reign of King Edward VIII (who never actually took the throne). The back part of the hotel, where the bar is, dates from the 15th century, which is remarkable and we also found old stocks just a minute away from the hotel, as well as many blue plaques about the writer H.G. Wells, who was educated and worked in Midhurst. The Spread Eagle is also a spa, and mum, dad and I had loads of fun swimming in the pool and relaxing in the jacuzzi. It was lovely and quiet, and we also sampled many different spa products… Mum and dad enjoyed the sauna and steam room, and I loved putting my feet up and reading the paper by the pool. We ate dinner and breakfast at the hotel, and we were all blown away by how scrumptious everything was. We do not eat meat, but the dinner menu had more than enough to choose from. I had a creamy potato soup, lentil and coriander samosas and was even given crème caramel made without gelatine when I asked. Everyone in the restaurant was really kind and friendly, and we had a delightful dinner. Breakfast was also wonderful – I loved my waffles and maple syrup, and there was even a pineapple “pina colada” salad. The Spread Eagle is situated right in the middle of the South Downs National Park, meaning that the scenery was stunning. We walked through the lovely high street to a beautiful path, where we stumbled onto the Cowdray Ruins; one of England’s most important early visitor houses. It was breath-taking, but it is only open for visits from the end of May until the end of September. I would have loved to take a look inside, as it was visited by Queen Elizabeth I and King Henry VIII. Mum, dad and I also ate at a great tea-rooms called the Moonlight in a place called Cocking, before taking a walk up the South Downs Way. Although the weather was dismal, it was nice to take a long walk as this is not something we usually do. In better weather it would have been fun to cycle too. The Spread Eagle is also near an open air museum – Weald and Downland. We visited it and had a really fun time – a piece from mum is on the way. Overall, the Spread Eagle was a fantastic place to stay. Everyone was friendly, the food was delicious, the spa was lovely and the room was brilliant. Midhurst was a lovely place to visit, and we all had a great time. My only complaint was that the people at reception, although amiable, were not actually that helpful when we wanted to find out information. They did not know much about the history of the hotel, and didn’t give us much information when we asked for good places to go walking. However, I’m sure they could easily learn this and apart from this one aspect, everything was perfect. We would all be more than happy to go back. Rooms at the Spread Eagle start from £99 B&B (Standard Room) and The Queen’s Suite starts from £299 B&B. We were given a discounted media rate in order to write about it, but all our thoughts and opinions are our own. 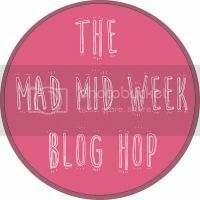 We’re linking up with Super Busy Mum at the mid week blog hop this week. Scoot over there to read some other lovely bloggers! We had a fabulous weekend, and there were an abundance of historical connections. What a beautiful place to stay, the scenery and what a room. Love the theme and style of it! Looks like you had a great stay. We really did! The atmosphere was really nice, and we had a fab time. Sounds like a wonderful stay – but what did you do with your brother?! I hope he got to stay somewhere good too. I love that they provided wig stands; the history and thought of who has stayed there before you would be my favourite part. Robert was on a residential trip, and it was lovely and peaceful without him! 🙂 It was such a great place to stay. Glad you had a great stay in and around Midhurst, West Sussex. Thanks for mentioning Moonlight Cottage Tea Room in Cocking. We are glad we were able to provide sustenance before you climbed up onto the South Downs. Al the best on your travels. Thank you for your comment! The Moonlight Cottage Tea Room was fabulous, and I loved the soup. Where Queen Elizabeth the first stayed? Wow! Great video. It was thrilling to think that we where standing where she might have stood! Another super review, Jess, and great little video too. Staying somewhere with a lots of history just makes it that bit more special. Thank you very much. It really was a fantastic place to stay, and we had a brilliant weekend. Excellent post, I’m not sure I would have got out of that four poster bed it looks so comfy. Jess, your video is fantastic, it certainly makes me want to go and visit. Great to hear you liked staying in the hotel but am saddened to hear there weren’t any members of staff who could answer your questions about its history. I’ve been working at the hotel for 16 years but am certainly not the longest serving member of staff by far! It does sound like our newest members of staff were on duty during your stay and its a shame they couldn’t enlighten you! I really enjoy telling stories of the hotel and its history; it really is fascinating. Just imagine that Machu Picchu wasn’t built when the hotel first opened its doors to the passing public, the Plantagenets still ruled England and Shakespeare didn’t start writing until 150 years later. Queen Elizabeth stayed at the hotel in 1591 to sit in the corner window to watch a beheading and during her stay, her entourage ate a bull and 40 geese! I could go on all day about the lovely place I work, so if you stay again, ask for me and I’ll tell you some more stories!! Emma. This sounds like a fascinating place to stay – how amazing that Queen Elizabeth I stayed there too. Good luck with the BiBs! Thank you! It was such a cool place to stay, knowing that she had been there. I really enjoyed your review and reading about and seeing this. What an amazing room. I am with you, I always want to know more about a place that has history. I love that H.G. Wells taught there and the traditional furnishings. I’d love to visit the Queen’s room one day. Wow, I must go there – it seems like an amazing place and I love the historic design! It was a change to the hotels we usually stay in! We had a great time and the hotel was really nice. Wow, what a cool place. I love staying in old historical hotels. Are they any ghost stories associated with the Spread Eagle? Oh my goodness when can I go!? This place sounds amazing. The history just oozes out all around you. At first I thought that was a museum based on the intricate detailing of its decor and architectural choices, but wow a hotel! A history nerd and lover of this time period I would most definitely stay there: a vacation in itself! 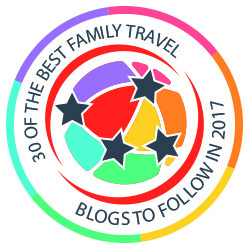 I love seeing another family whose kids contribute to their family travel blog. Well done! I’m looking forward to following along on your future travels. Thank you very much! We really enjoyed our stay at the hotel and would have loved to stay for longer. That bed looks fit for a princess and so comfy! They certainly know how to do four poster beds, this one looks amazing. Love to go back to the area and explore the South Downs. Will be keeping The Spread Eagle in mind!